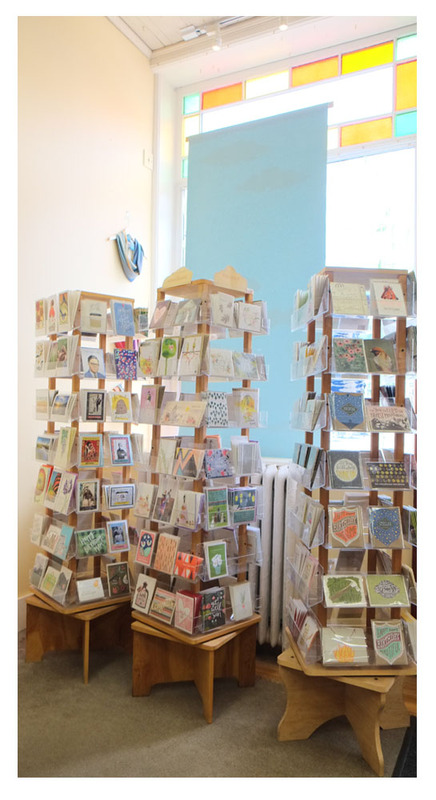 Does your store stock a large quantity of note cards, greeting cards, postcards, DVDs, or other media? Our fixed or rotating floor stands provide an elegant solution for neatly organizing and displaying products with a minimal footprint. Our floor spinners hold up to 84 designs or facings of materials, and many feature interchangeable pockets and shelves that allow you to configure and accomodate different sizes and shapes. Made with precision ball-bearing bases, our rotating floor stands are engineered to remain stable and smoothly rotate. We can customize any display with a logo or company or product name. Made in the US from polished clear acrylic and sustainable birch plywood, most of our display stands and accessories are in stock and ready to ship.